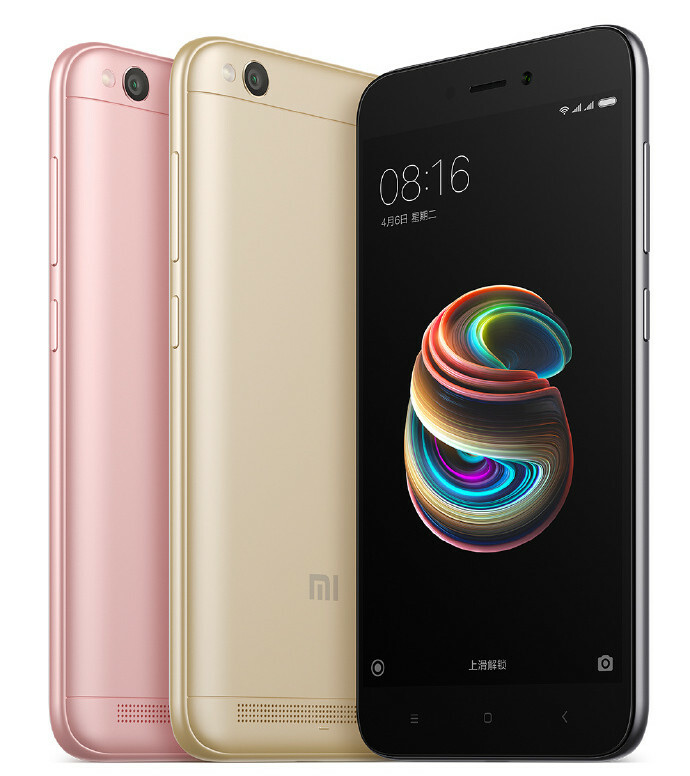 Xiaomi announced the company’s latest smartphone in the Redmi series, Xiaomi Redmi 5A. The mobile comes with 5-inch HD display, runs on MIUI 9 which is based on Android 7.1 (Nougat) out of the box besides being powered by the Quad-Core Snapdragon 425 processor. The smartphone comes with 13-megapixel primary camera with PDAF, LED Flash and 5-megapixel front camera. Let’s now have a look at the specifications of Xiaomi Redmi 5A in detail. The smartphone sports a 5-inch HD IPS display at a resolution of 1280 x 720 pixels with 72% (typ) / 68% (min) color gamut and 1000:1 contrast ratio. It is powered by 1.4GHz Quad-Core Snapdragon 425 processor with 500MHz Adreno 308 GPU and runs on MIUI 9 which is based on Android 7.1 (Nougat) out of the box. The device comes with 2 GB RAM and 16 GB internal memory that can be expanded to 128 GB using the microSD card. It has 13-megapixel primary camera with PDAF, LED Flash, f/2.2 aperture, 1080p video recording and 5-megapixel front camera with f/2.0 aperture. The device is equipped with Infrared Sensor besides supporting 4G VoLTE, Wi-Fi 802.11 b/g/n, Bluetooth 4.1, GPS + GLONASS and Hybrid Dual SIM (micro + nano / microSD) connectivity features. The mobile packs 3000mAh (typical) / 2910mAh (minimum) battery and weighs 137 grams with 140.4 x 70.1 mm x 8.35 mm size measurements. 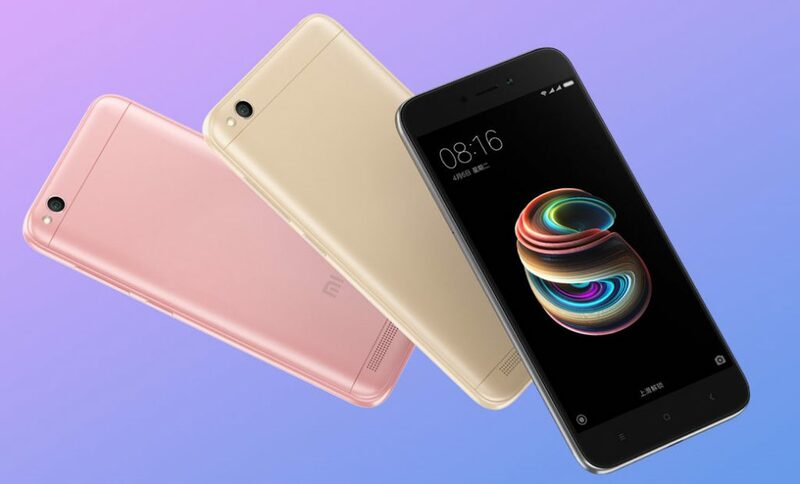 Xiaomi Redmi 5A will be available in Rose Gold, Champagne Gold and Platinum Silver colors at a price of 599 yuan (US$ 90 / Rs. 5880 approx.). The mobile will go on sale in China from today. Share us your views and expectations on the Redmi 5A in the comments section below.